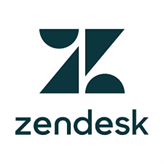 We’re looking for an Engineering Team Lead to help us grow and mature the Zendesk Talk product and organisation. In this role you’ll provide a team with support to grow and perform. Team Lead is a the first step on the Zendesk career ladder that takes direct management responsibility for a team, that means your team members will report to you. In addition, you’ll work as a code contributing Engineer but the people side of this role comes first, so you’ll need to be comfortable putting your own code writing productivity second to the needs of your team. Previous experience leading a team is a nice bonus but not essential for this role, as you will be supported by an Engineering Manager. If you get your thrills from the success of the people around you, nerd out over what makes a successful team, and aspire to perfect your communication abilities, this could be the job for you! Create an inclusive environment that is conducive to happy and productive work for you and your team. Support your team members in their goals - technical, career and personal. Work collaboratively with a small focused team on a real-time application that needs to be robust, scalable and maintainable. Participate in every stage of the development life-cycle including feature conception, design, implementation, testing, rollout and making everything run smoothly & safely in production. Follow and improve our practices at every stage of development: spiking/prototyping, pairing, peer code review and design review. Plenty of experience in building great products and some of that with Rails and/or React, ideally both. Truly great communication and collaboration skills. A passion for sustaining a healthy and effective work environment. Experience with distributed systems, and/or message queues, e.g. Kafka. Working at really big (think global!) scale. To us, something is beautifully simple when design and function work together to solve a problem. For Arne Jacobsen, that meant making a chair look like an egg. At Zendesk that means taking design elements that people have grown to expect from consumer software and incorporating them into an easy-to-use platform that simplifies the tough work of customer service. Zendesk moved its San Francisco headquarters to the Tenderloin in 2011, a famous and deeply historic neighborhood in the heart of the city that was unfortunately neglected for decades. Since moving in, we have invested thousands of dollars and volunteer hours into the Tenderloin as well as communities around our other global offices. In 2015, we launched the Zendesk Neighbor Foundation which aims to engage with, and provide support to, our local communities. The Foundation focuses on neighborhood renewal and improvement by addressing poverty, homelessness and healthcare, improving education and promoting gender equality, development and technical literacy. Check out our new Blog which aims to give an insight into what it's like to work in Zendesk by interviewing members of our engineering teams. An iPad that makes your morning coffee.. We like coffee. A lot. Travel opportunities to our San Francisco/EMEA and APAC offices. Learning and development - Internal training for tech and soft-skills. Want to get notified about new jobs at Zendesk?